There's no doubt Millie Bobby Brown's most prominent role of her young career is Eleven in Stranger Things. As the telepathic girl who debuted in the series with a shaved head, Brown has won over the hearts of millions of fans. However, before starring in the Netflix series, Brown appeared on multiple other shows, including a main role in the 2014 BBC drama series Intruders. Brown's character in the supernatural drama, Madison, was a seriously disturbed nine-year-old girl who runs away from home. The series didn't lead to any awards for Brown like Stranger Things has, and it was unfortunately cancelled after just one season. 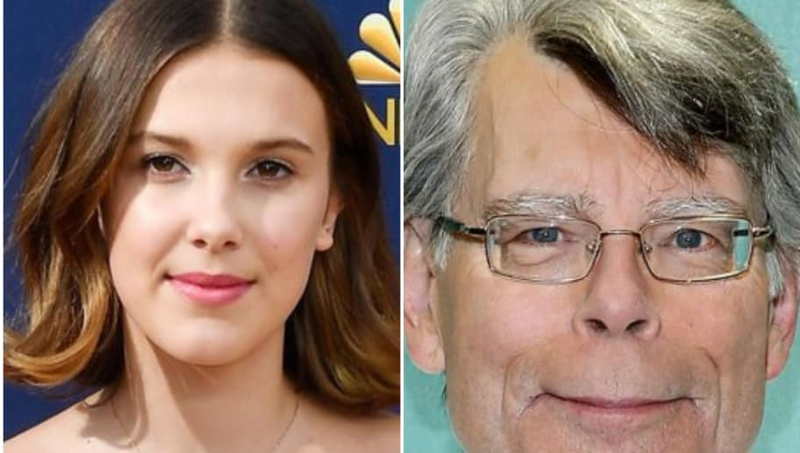 However, her performance on the short-lived show did capture the eye of one of the most genius minds in the world of supernatural/horror fiction: Stephen King. He praised Brown's performance on Twitter back in 2014. Millie Brown, the girl in INTRUDERS, is terrific. Is it my imagination, or are child actors a lot better than they used to be? It should come as no shock King's analysis was spot-on, as he knows a thing or two about great child actors. A few years later, King also shared on Twitter that he's a huge fan of Stranger Things, too. It was revealed earlier this month that Brown and the rest of the Hawkins gang will return for the series' third season on July 4.